Celia often uses sophisticated “looping” technology to perform duets, trios, and even larger ensembles with herself. Nothing is pre-recorded. She lays down a track then using the looping technology harmonizes with herself — all live and in real time. The result is an amazing listening experience for the audience. 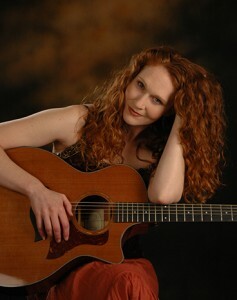 Celia has opened for notable authors: Neale Donald Walsch, Marianne Williamson & Dr. Masaru Emoto, provided live music for the Off-Broadway production of Rum & Vodka, & has received a “Best Storytelling CD” nomination for Irish Tales by the International Just Plain Folks Awards (The Grassroots of Grammies). Her “Symbol” song has been named the “Anthem for the Veteran Pentacle Quest” in support of Religious tolerance & acceptance. Celia is from Wisconsin and calls Prescott, AZ home. She is currently touring with her 10th album, Letting Go. No matter how many times you think you’ve seen Celia, you can never predict what she will do and how deeply she can reach into the soul of an audience. Celia’s range of styles and entertainment is far more than a concert. It is more like a full Cabaret.